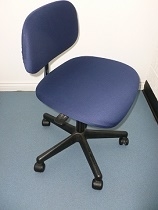 Navy Blue Brushed Polyester tricot for swivel office chairs that have a separate back and seat. Machine washable. Ideal to cover worn or damaged upholstery or for protection from pets. 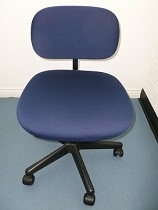 P2 25/39cm.back;44/45cm.seat Cover set to fit low-back task chair. Royal Blue Brushed Polyester tricot for swivel taask chairs that have a separate back and seat . Machine washable. Ideal to cover worn or damaged upholstery or for protection from pets. other sizes may be available as bespoke made. Red Brushed Polyester tricot for fabric, mesh, leather or vinyl office chairs that have a separate back and seat. Ideal for covering worn or damaged upholstery or protection from pet damage.